Today marks the 21st Anniversary of the Disney Legend Class of 1992! Hello everyone, and welcome to Tiggerific Tuesday Trivia! Today we are getting an early jump on our trivia, by taking a look at what happened in Disney History for October 21st and 22nd! Continuing our emphasis on Annette Funicello, did you know that on October 22, 1942, Annette Funicello was born? 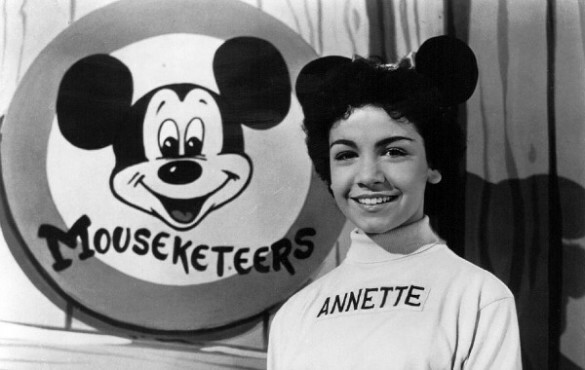 Actress/singer and original Mouseketeer Annette Funicello is born in Utica, New York. She and her family moved to Southern California in 1946. Walt Disney first saw 12-year-old Funicello dancing the lead in Swan Lake at the Starlight Bowl in Burbank, California, and later invited her to audition for his new children’s show, Mickey Mouse Club. She was a featured Mouseketeer on the hit series and took part (along with the other original Mouseketeers) in Disneyland’s grand opening in 1955. She later starred in several Disney features, including The Shaggy Dog, Babes in Toyland, The Misadventures of Merlin Jones, and The Monkey’s Uncle. Her Disney television credits included Zorro, Elfego Baca and The Horsemasters. As an adult, Funicello was one of many celebrities who took part in Walt Disney World’s three-day opening festivities in October 1971. In 1977, Funicello guest starred as the Blue Fairy in Disneyland’s Main Street Electrical Parade! Named a Disney Legend in 1992, her autobiography A Dream Is a Wish Your Heart Makes: My Story was published two years later. Special thanks, as always, to my co-hosts Jodi from Magical Mouse Schoolhouse, Jenn from Disney Babies Blog, and Heidi from Heidi’s Head! Come click on their links to read all about their great Disney Trivia, and thanks for stopping by! Annette Funicello passes away at age 70. Love Mickey Mouse Club and Annette. I didn’t know how she was discovered, oh boy how her life changed after that. Thanks for sharing. I have never really seen the original Mickey Mouse club, I did see a few episodes of the newer version when free Disney week was available on cable. Kids are so lucky now with Disney being included in regular cable, plus having 3-4 versions of the channel. Thanks for the great trivia! I had no idea Annette was in the MSEP! How cool! Fun trivia – lot of legends that year! What fun trivia, Mike! Not sure how I missed this last week. This was great to read! Thank you! Previous Post: American Tourister Facebook Promotion Runs October 21-25, 2013! Next Post: Let’s Take a Virtual Disney Tour!